Robert Petway, a blues musician from the 1930’s and 40’s, is known primarily for one thing: penning the great “Catfish Blues”, one of the most prolific songs in blues history, influencing Muddy Waters, Jimi Hendrix and countless others. Very little is known about Robert Petway’s life. It has been said that he was born around 1908, around Yazoo City, most likely on the J.F. Sligh Farm. This information is largely accepted, as his closest friend, Tommy McClennan, was born at this location. All other information, including the cause, location, and time of his death, are unknown. All that is known for certain is this: Robert Petway recorded 16 songs, and only has one known photo taken around 1941 as a record company publicity shot. However, after researching Petway for some time, I have formed a new theory. With little to go on, I began by researching Robert Petway’s last name. Although by today’s standards this might seem like a fairly common name, in the early 1900’s, it was anything but common. In fact, when searching Census Records, there is only one African American Petway living in all of Mississippi in 1920. Even he was born in Alabama. By 1930, not a single Petway resides in Mississippi (according to the Census Records). While doing other research on other blues stars of the day, I came to see patterns. A common pattern I tend to see has to do with last names. Usually, one can find family with the same surname in or around the area where these stars where presumably born. If Robert Petway was indeed born in Mississippi, then it becomes somewhat safe to assume you would find other family members – parents, spouses, siblings, etc – also in the area, or at least the state. This was obviously not the case. 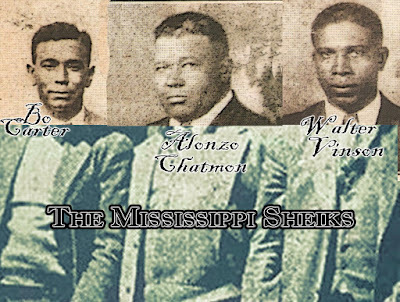 Though our blues stars loved to ramble, travel, and never settle down, usually the parents – sharecroppers, laborers, etc – didn’t move around much. So I expanded my search. Turns out the name Pettway (note the extra “T”) does have historical significance. Gee’s Bend, also known as Boykin, is a very poor tenant community on Alabama. It lies on the edge of the Black Belt in Wilcox County. It is named after Joseph Gee, a planter, and the first white man to settle in the area. In 1845, this land was sold to Mark Pettway to settle a $29,000 debt. About a year later, in 1846, the Pettway family moved from North Carolina to Gee’s Bend, bringing with them over 100 slaves. When the slaves were freed, many of them stayed, continuing to help the Pettways as sharecroppers, planters, and laborers. A lot of these ex-slaves took the surname Pettway or a derivative of it. In fact, Arthur Rothstein, credited with photographing many of the black tenants of Gee’s Bend as hired by the Resettlement Administration, noted that most of them had the last name Pettway or Petway. In fact, I believe that Robert’s Father, Tom Petway, lived with his uncle Robert (listed at “Robt.” on the 1880 Census Record) in Gee’s Bend, and worked as a sharecropper after the Pettway family took over in 1845. The Census Record I uncovered shows a young Tom, age 10, living with his Uncle Robert and his family. The record shows “Rehoboth Beat” in Wilcox as the area he lived in. The Rehoboth Beat covered Gee’s Bend. Though I have no outstanding proof, I believe that Robert Petway, our famous author of “Catfish Blues”, was born in Gee’s Bend, Alabama. I believe his father, Tom, got into the sharecropping business as he became older. He fathered a son, Robert, who stayed in Gee’s Bend and learned to farm cotton, among other things. On the Census Record I found for Robert, it shows him at age 12 (born October 18th 1907) living in Gee’s Bend with his father Tom, a farmer. It also shows a sister, Idenia, living with them. Could it be that Robert Petway, whom we love and adore, was named after Tom’s uncle with whom he lived with? A 1920 Wilcox County, Alabama Census listing Robert Petway, second from the bottom. Any way you slice it, Gee’s Bend was not the best place to be. It was isolated. It had a ferry come from time to time, but the ferry was unreliable. The town was poor, and falling apart. In about 1932, the Red Cross started to help Gee’s Bend with public assistance. 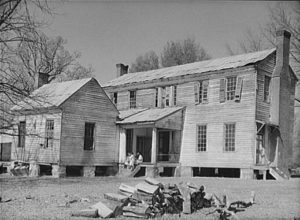 Being as bad as it was, many of the younger residents, who did not have a personal stake in Gee’s Bend, began to leave. In 1932, Robert Petway would have been about 25 years old, a prime age to leave the failing town of Gee’s Bend. I believe it was around this time that Robert fled to Mississippi, not for the love of music, but for his ability to farm. The rumors of ever fertile soil and the ability to buy land in the Mississippi Delta would have made it an appealing prospect. It wasn’t until the 1940’s that you could buy the land in Gee’s Bend. I believe Robert left to do what he knew best: make a better living farming. This excursion took him to the J.F. Sligh Farm in Yazoo City. I believe this is where he may have met – or reunited – with McCelnnan. But I think McClennan was more than a friend. I think he was his musical mentor. Robert Petway most likely was a farmer by day, and learning the blues and playing parties by night. After a few years playing music in the Delta, Robert Petway headed north to Chicago in 1939. This much we know to be true – he, in fact, recorded for Bluebird in Chicago in 1941. Not to mention, by 1939, McClennan was already in Chicago, and it’s more than likely that Robert Petway went to join him. I believe Petway never left Chicago after traveling north. After all, why would he? Life in the north, though often tough, was far better than life in the south at that time. Work paid better, apartments and living arrangements were often better. What small town farming boy wouldn’t want to stay in Chicago? Even Honeyboy Edwards recalled Petway staying on the North side of Chicago, and never being heard from again. In my opinion, Robert Petway died in Chicago, in Cook County, on May 30th 1978. There are both national and state death index records stating as much. Honeyboy Edwards recalled Petway talking about living and farming in Blythville, Arkansas. Petway was from Boykin, Alabama. If Robert Petway arrived in MS around 1932, and left by 1939, there would be no Census Record of him living in MS. 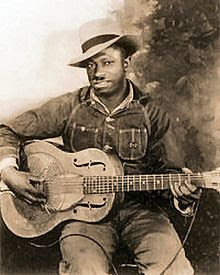 It is also rumored that Petway once played the Three Forks Bar, where legendary bluesman Robert Johnson was allegedly poisoned. The one known photo of Petway depicts him in rural farming attire. Even his traveling buddy McClennan borrowed a suit for his own photo. I believe Petway wore this outfit because it is what he was used to wearing – he was, after all, a farmer. With so little to go on, no one will ever know for sure. However, in my opion, Robert Petway was born October 18th 1907 in Gee’s Bend Alabama to sharecropping parents. He left Gee’s Bend around 1932, and headed to Mississippi to farm. I believe he met, learned from, and played with Tommy McClennan, before heading to Chicago in 1939. After recording for Bluebird in 1941, he would later die May 30th 1978.